LOS ANGELES—Original music from Fargo, House of Cards and Stranger Things won Emmy Awards over the weekend, as did a song and the music from two major programs dealing with the historical challenges facing African-Americans. 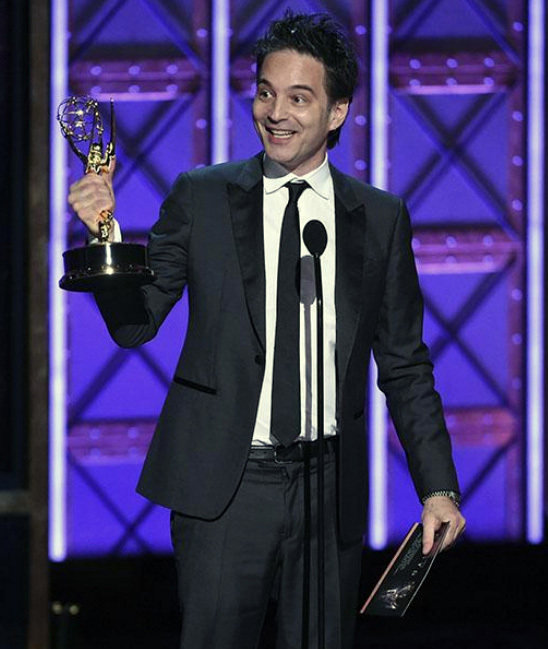 Jeff Russo won his first Emmy in the Composition for a Series category for an episode of Fargo; this was his third nomination for the FX series. Jeff Beal won his fifth prime-time Emmy in the Composition for a Limited Series category for "Chapter 63" of House of Cards; this was his fifth nomination and second win for the Netflix series. 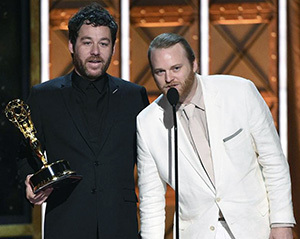 Texas bandmates Michael Stein and Kyle Dixon won in the Main Title Theme Music category for their retro-synth theme for Netflix's Stranger Things; this was their first nomination at the Emmys. 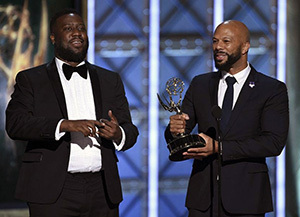 Winning for Outstanding Music and Lyrics, for their song "Letter to the Free" from the Netflix documentary 13th, were Common, Robert Glasper and Karriem Riggins. Veteran arranger-conductor Rickey Minor won his first Emmy (on his sixth nomination) for Music Direction for the ABC special Taking the Stage: African-American Music and Stories That Changed America. Winning the first Emmy in the new category of Music Supervision was Susan Jacobs for finding, assembling, clearing and recording songs for the final episode of HBO's Big Little Lies. Presentation of the six music categories was spread over two nights of the Creative Arts Emmys at the Microsoft Theater in downtown Los Angeles. A condensed version of the two-night affair will air at 8 p.m. Saturday on FXX. The Primetime Emmy Awards will air next Sunday, Sept. 17, on CBS.